Every Christian around the world have an opportunity to observe the passion of the Lord particularly during the Holy Week. This give a chance to discern, reflect and allow the occasion to impact our situation in all aspect of our life. 1. Practice Fasting. The occasion teach us to practice fasting. According to the 7 Days of Prayer and Fasting eBook of Bro. Bo Sanchez, fasting gives us different blessings. One of these is that it open ourselves to God’s Power. We are allowing the God’s blessing and power to enter our lives just like breathing for oxygen. Bro. Bo said that when we fast, we become more expectant, more open, more sensitive and more attentive to the blessings that surround us. 2. All in this world is temporary. The lifestyle we have, the clothes we wear, the wealth we have, the sufferings we are experiencing, the trials and difficulties that we are facing, all of them our temporary. Just like Jesus, the sufferings he experienced when he was nailed on the cross to redeem us from our sins are all temporary. Always remember that there is always light at the end of the tunnel. Every cloud has a silver lining. I recalled a story of Bro. Bo wherein a king summoned his servants to look for a magical ring. A ring that whenever a happy person looks at it, it makes him sad and when a sad person looks at it, it makes him happy. The servants found the ring which have this engraved words in it. “This too shall pass”. The sadness we feel right now will pass and we will soon become happy and the happiness we are experiencing will also pass and soon we may become sad. All of the things in this world will too shall pass. 3. Become closer to God. Holy week teach us to become closer to God. It gives us an opportunity to deepen our relationship to God. Renew our relationship to others and repent on our sins. We open ourselves to the teachings of God and how to become like him. At the end of the day, God gave the task to us in order to become more like Jesus everyday in our words and in our actions. 4. Revisit your goals and purpose. What is your real purpose in life? How can you become a blessing to others? The occasion can be part of renewal to ourselves as well. You can rewrite your goals and update your dream list. Fill up your day by reading an inspirational book. I am reading right now an eBook by Bro. Bo entitled How to Build A Happy Family because I want to enrich my relationship with my family which is really the challenge for expatriates. Watch videos about the Bible which are widely available in the internet. Also, you can make your car a mobile university on wheels. Listen personal development and financial literacy audio books. Also, find time to share what you know to others. For me, it is my personal crusade to share the right financial information to the people. 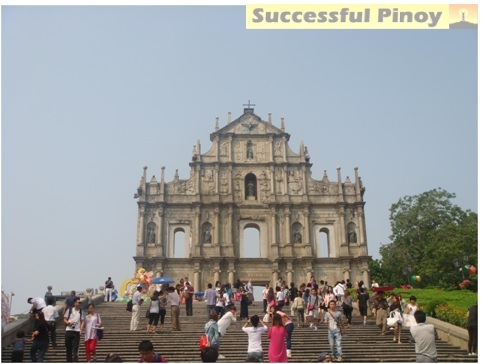 Together with other crusaders, we give free financial coaching to guide others in building their wealth. 5. Lead to a changed lifestyle. The event give us a chance to reflect, discern and contemplate with our life. In order to effectively do this, I practiced prayer and fasting for 7 days of the Holy Week. In my goals to see my grand children and give more time sharing my real purpose in life, I decided to change my health lifestyle. I have subscribed to Bro. 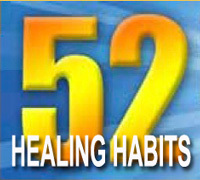 Bo’s 52 Healing Habits Program, wherein my family and I can learn to understand the root causes and solutions to diseases and awaken the healer inside us. This is only one aspect of our life. You can decide to take action and change your lifestyle with respect to your finances, relationships, career and spirituality. Different life changing impacts can result from the temporary sufferings of our Lord. Through these, we can learn essential virtues that can positively affect our life in general. Use the blessings and resources that were given to us from above and make a difference in this world. What other life changing impacts have you experienced from the death of Jesus ? Share your thoughts and meet us in the comments.